EVAN HARRIS EXPENSES 2009/10 !! [2010 Aug] What’s Behind Ben Goldacre? 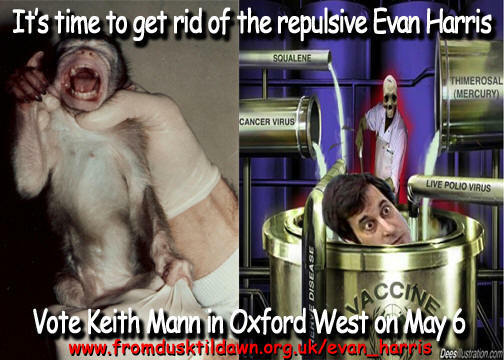 By John Stone Dr Evan Harris, the former MP, who accompanied Brian Deer to make accusations against Andrew Wakefield and colleagues, and led a debate under privilege in the House of Commons making further allegations of unethical practices (HERE) is the son of paediatrician Prof Frank Harris who sat on the Committee on Safety in Medicines and the adverse reactions to vaccine committee ARVI in the early 1990s when Pluserix MMR vaccine had to be withdrawn (HERE) , (HERE) , (HERE). 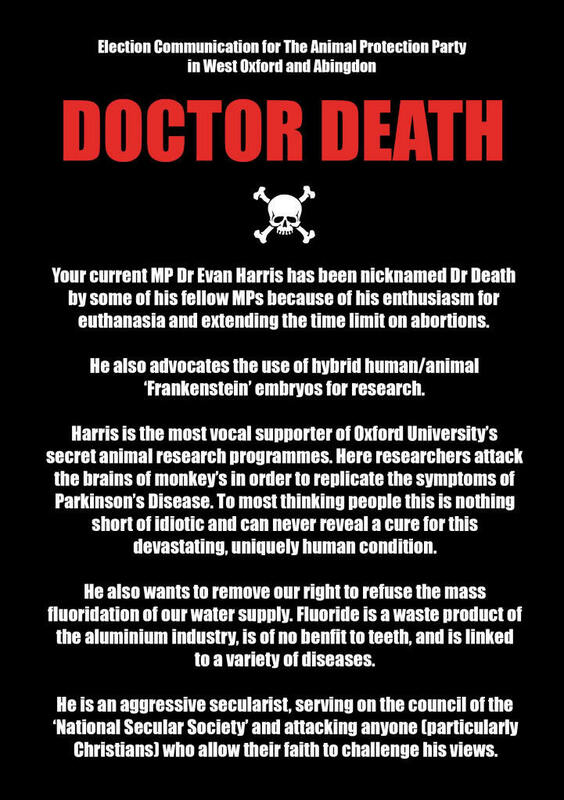 Tagged 'Dr Death' by his colleagues and the UK national newspapers for his support of embryo experiments, Pharma Rep Dr Evan Harris MP, Liberal Democrat Science Minister, has now expanded his pharma promotions to rabidly attack his NHS colleagues on homeopathy. One would imagine that a major function of a Science and Technology Committee, of which Harris is a member, would be the careful and polite gathering of evidence from the expert witnesses asked to come before it and the sober reflection on and considered weighing of that evidence to arrive at a set of balanced recommendations. Dr Harris’s scandalous antics as a principal investigator at the homeopathy hearings suggest that, in his case, nothing could have been further from the truth. 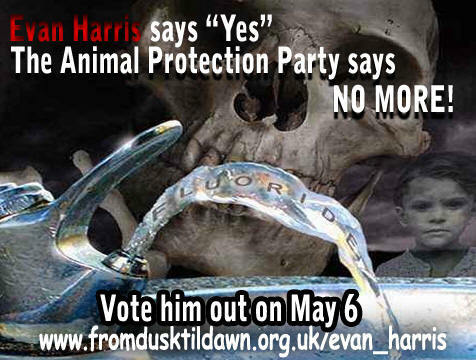 Watch the appalling Dr Harris on YouTube and make sure not to vote Liberal Democrat at the next election. "I have been provided with the services of an intern to conduct research work and co-ordinate a project by Sense About Science, an independent charitable trust. (Registered 30 January 2007)"
"hopefully not the same CliffordGMiller bombarding the the BMJ with other reams of piffle and referring to the MMR vaccine as "murder".."
"A drastic pruning of the rapid responses is clearly right. In addition to the reasons given, the editors should note that in one tedious, tedious, area - the MMR debacle - countless BMJ rapid responses, essentially claiming that immunisation policies are a murderous conspiracy, have been routinely lifted wholesale and republished across the web as apparent content from a medical journal. What hapless parents are supposed to make of some of this stuff, seeming to carrying the authority of a prestigious British publication, god only knows. Call me censorious, but we should be glad to see the back of it." Anyhow, the Carrot doe not sound like an innocent bystander.